The global packaging industry has never seen a downhill moment. If you are a manufacturer, supplier, buyer, distributor or a marketer exploring opportunities in the packaging industry, Blue Mail Media’s Packaging Industry Email Database can help you significantly shore up your marketing efforts. 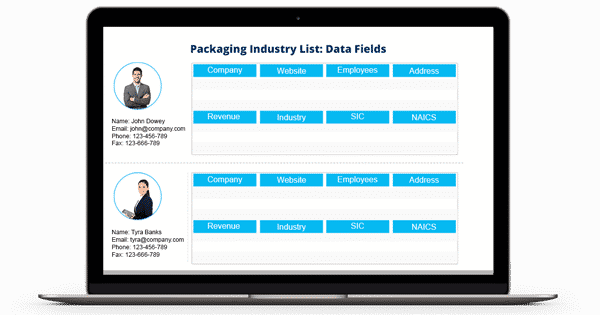 Our database of packaging industry executives connects you with top decision makers in the industry and lets you discover umpteen business opportunities. Blue Mail Media’s Packaging Business Mailing List is the perfect resource for your multi-channel marketing efforts. Our database gives you complete access to information to get in touch with your target audience via telephone, email or mail. Our adept team of data experts spend immense time and energy in collecting high-quality data from authentic sources and verifying the same to maintain data accuracy at all times. Since we have a strong data partner presence across all major markets in the world such as the US, UK, Canada, Russia, North America, Australia, India, China, Russia, Africa and others, we are capable of serving you without any geographical barriers. Blue Mail Media gives you enough flexibility to either choose from our pre-packaged Packaging Industry Executives Database or get a customized list created as per your campaign specific requirements. With our data, you are sure to realize greater response rate, conversions and a healthy ROI.